Over the years, James Bond has needed to stop maniacs from controlling many resources. These range from diamond smuggling, gold, oil, and cocaine. Who would ever think that there would be such a commodity worth controlling such as water? When the film franchise started in 1962, natural resources, like oil, were in abundance but we knew that there is always a limited resource. I doubt any one would think water could fall into this category. Now, don’t get excited I am not saying that we are running out of water but as so much of the world is focused on oil and other natural resources, someone else was focusing on controlling water and we meet this person in Quantum of Solace. Quantum of Solace takes its title from a short story of the same name written by Ian Fleming and published as part of the book For Your Eyes Only in 1960. After the success of Casino Royale in 2006, it would be an understatement to say that I was really looking forward to the follow up film. For the first time in the franchise history, this Bond would be a direct sequel. This would tie directly into the themes and plot from Casino Royale. It was a very exciting time to be a Bond fan. My favorite film franchise was getting a revamp and it was the second installment of the new era. Was it going to be as good? In my humble opinion, the answer is no. It couldn’t be. As I mentioned last week, Casino Royale was a triumph. I think it would be very hard to top that film. Re-watching it again to write this article, it is not a bad film at all but it is flawed. Once again, I remember sitting in the theatre and being slightly disappointed there was no gun barrel sequence at the beginning of the film. What we do get is an incredible car chase through Largo di Garda. At first, we don’t know why Bond is being chased but the car chase itself is brutal. People are firing on Bond just before they make devastating crashes into the side of the mountain or other vehicles. It is seriously action packed. The problem is that director Marc Forster shoots the action so close that it is nearly impossible to figure out what is going on. There are moments that I truly think that Bond’s car ploughed into someone else but that isn’t the case. I find this type of film making to be difficult to watch. I do not enjoy it. My guess is that the point is to try and make you feel like you are actually in the action. This happens in fight sequences at the beginning of the film too. Why does everyone want to be immersed into the action? Am I the only who just wants to watch it and not necessarily be in it? That is why I am not a big fan of 3D, I just want to watch it; I don’t want it around me. The whole chase scene ends for us to find that in the trunk of Bond’s car is Mr. White. Remember at the end of Casino Royale when Bond shot Mr. White? This is a continuation of that. Now, this shouldn’t be confused with something like Goldfinger which is indulging into the villain. I personally have no problem with that. As I mentioned above, one of the things that really bothers me about this film are the fight sequences. They are shot very close to the people who are in it. It’s hard to see who is punching who and makes for a very confusing scene. Now, I was starting to think I was an old fuddy duddy until I heard other people making the same complaint. Leading to the first fight sequence is the interrogation of Mr. White. M and some of her people are in attendance. There is a really cool part of this film and that is that Mr. White is part of a larger organization. They are called Quantum. It is kind of cool with what they do; I don’t see them as a straight criminal organization. Now being in the 21st century the organization may be involved with dictators or ecological manipulation or amassing wealth and power. Quantum has apparently been around for some time. The problem is that no one knows they exist or that members of Quantum have even infiltrated the British Secret Service. Now, Quantum isn’t too far off from SPECTRE, the organization that plagued Bond in many of the 1960s films. Once again, it is important to bring up Kevin McClory. Remember, he and Ian Fleming came up with Thunderball to be adapted to film. SPECTRE was a creation between the two of them. After things blew up between McClory and Fleming, McClory got the film rights to Thunderball where Fleming got the literary rights. I was thinking about this the other day. It is a shame that McClory, Broccoli and Saltzman could not find common ground. McClory worked on Thunderball but never for Eon again. I don’t think him working on the films would have been a bad thing yet because there was no compromise he kept showing up at regular basis up into the early 21st century trying to re-make Thunderball over and over again as a rival Bond film. Aesthetically, one of the more interesting elements of the film is the unique text treatment when we move from location to location. Each treatment tries to convey the feel of the country around it is featuring. The film really takes off in Port au Prince. Bond is trying to follow a lead to figure out more about Quantum. He tracks down Edmund Slate in a hotel. In Slate’s room, a fight breaks out between him and Bond. Slate gets cut in the jugular and dies. It is a pretty graphic death. Slate just stares ahead confused and shocked by what is going on around him until he dies. It’s a very serious moment. Bond doubles as Slate as a car pulls up outside the hotel. It is a woman named Camille. After Camille thinks Slate (Bond) is trying to kill her, she gets away from Bond but he follows her straight to Dominic Greene. We find out that Greene is part of Spectre (oops I mean Quantum) and that he is going to help an exiled Bolivian General named Medrano. If Greene can get Medrano back in power for Bolivia, Greene will receive a piece of land which seems to have nothing important to it. Camille and Medrano have a connection as Medrano murdered Camille’s family when she was young. After Bond follows Camille to a dock-compound he is not allowed in but hands the guy at the front gate a card. It is a Universal Exports Card which is the code name for the British Secret Service. I may be wrong here but I swear the last time Universal Exports was used was in Licence to Kill. As the film progresses, Greene becomes aware of Bond. Greene meets up with the CIA to talk about bringing Medrano as the dictator. While there, Greene asks CIA Section Chief Gregg Beam to take care of Bond. In attendance is Felix Leiter. In Austria Bond tracks down Greene at a performance of Tosca. Not only does he track down Greene but realizes that the opera is a meeting place for Quantum. Many members of the secret organization are in the audience secretly speaking with each other through earpieces and wearing a Q badge on their lapel. People get injured and killed with Bond being blamed completely for it. M has no other choice but to recall Bond but he goes on the run. It is not so much about the mission but to track down Vesper’s boyfriend. Bond seeks out the help of Mathis. Mathis is still pretty angry with Bond for getting him arrested. In Casino Royale, Bond says Mathis was working for Le Chiffre yet apparently it was not true. Now, Bond has come to Mathis for help. I really like Mathis. He is intelligent and very human. In Casino Royale I couldn’t believe he would be a traitor and was relieved that ultimately he wasn’t. Together they go to Bolivia to track Greene further. On the plane, Bond is seen drinking a Vesper, the drink he created in Casino Royale. It would be cool if this was Bond’s new drink and is featured by name in other Bond films. At the airport a woman by the name of Strawberry Fields is waiting for Bond to take him back to the UK. Obviously Strawberry Fields is a name like Honey Ryder. Ms. Fields has Strawberry coloured hair. They get to the hotel where Greene’s company invited Bond to a party that night. Bond goes and sees Camille there. Greene and Camille were once lovers and ever since Greene has been trying to kill her. Unfortunately in another attempt to frame Bond, Greene has Mathis shot and place him in the trunk of Bond’s car for the police to find. Something very similar to what Mathis was doing in Casino Royale. Mathis dies. It is sad because he was such a good character. Bond’s reaction is cold. He takes Mathis’ body and sticks it into a dumpster and then takes any cash Mathis has on him. Eventually, after being on the run Bond returns to his hotel room to find M and a contingent from the UK there to take him home. Bond also finds another surprise which is the body of Strawberry Fields but she is completely covered oil. Oil is also found in her lungs. It is said to be an homage to Goldfinger but why would a Bond film need to have an homage to other Bond films? I never like overly self-indulgent sentiment. Bond and Camille find out that Greene is with Medrano in the Atacama Desert to finalize the coup that will bring Medrano back into power. Camille is going to kill Medrano and Bond will find Greene. At a hotel in the desert, the two men, Medrano & Greene, discuss the plans but as Bond infiltrates and starts taking revenge. During the fight, the hotel starts on fire. Bond and Camille barely escape. They track down Greene who got out a little earlier. Bond drives Greene out to the middle of the desert only to make Greene walk back to civilization…. if he can. Bond gives Greene motor oil to drink if he gets thrirsty in the middle of the desert. It doesn’t matter, Greene is found dead with a gunshot to the head. I like Greene. I think there is something interesting about having a Bond villain who is actually a wimp. Greene is not a very strong person and he really isn’t a match for Bond. He has his muscle from the people he employs. I think Elliot Carver from Tomorrow Never Dies is similar to that. One last piece of business which brings us not only to the beginning of the film where M is trying to find the whereabouts of Vesper’s boyfriend but also to where we left off with Casino Royale. Bond tracks Vesper’s boyfriend Yusef to Russia. Yusef uses women for their powerful connections. Yusef works for Quantum. Bond could have killed him but didn’t. The British Secret Service takes Yusef away. Bond finally understands Vesper better and forgives her for her betrayal. In an unprecedented move the gun barrel sequence is at the end of the film and not at the beginning. It’s weird that it’s there but it’s nice to see the classic gun barrel sequence again with Bond wearing a tuxedo. It’s iconic! The film had some nice guest stars in it. Apart from the obvious such as Olga Kurylenko and Mathieu Amalric there are some of my favourite actors such as Tim Piggot-Smith who plays The British Secretary of State for Foreign Common Wealth Affairs. He is excellent as he usually is in anything he touches. There is also Rory Kinnear as Tanner. His father was Roy Kinnear who was in so many British series from the 1970s and into early 1980s. Rory plays Tanner. I remembered that Tanner was played by Michael Kitchen in the Brosnan era films so I was surprised to see that Tanner appeared in films starting all the way back to The Man with the Golden Gun. He next appeared in For Your Eyes Only, Tanner was Bond’s superior instead of M. The previous film, Moonraker was the last film for Bernard Lee as M before he passed away. Albert Broccoli wanted to show respect to Bernard Lee by not having M in the next film. After that Tanner appears in GoldenEye and The World is Not Enough. 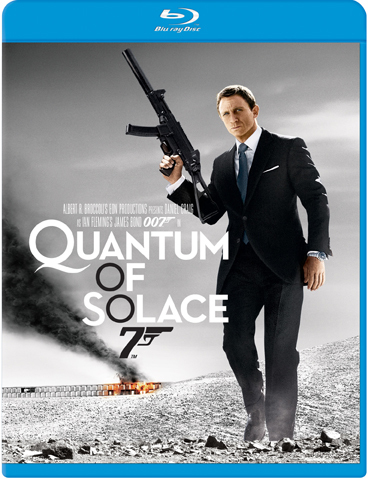 Like this article, Quantum of Solace is only alright; it could have been better. Its heart is in the right place but in my mind fails to capture the real grandeur of film making that we saw in Casino Royale. As usual Daniel Craig is excellent in this. I think the main problems with this film are that the quest for water isn’t particular compelling and I think the direction tries to be too clever but doesn’t quite work. That being said, I cannot wait for Skyfall! Bring it on! Next week: I love Bond but I am so glad to be done writing about him! The next article I go back to some wonderful random British television. Not just British television but phenomenal British comedy. I look at two episodes of Series 6 of Steptoe and Son: Two’s Company and Tea for Two. I will also talk about why series co-writer and co-creator Ray Galton is solely responsible why we have a complete run of Steptoe and Son episodes albeit not all in their original format. I will be publishing reviews for Upstairs Downstairs series 2 and Cornwall with Caroline Quentin. 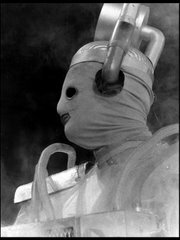 Finally, on Monday I will be announcing how you can win some Doctor Who DVDs from this site courtesy of BBC Home Entertainment.